On September 20 started the new LIFE NEWEST project with an initial meeting or kick-off at the SERVYECO facilities. 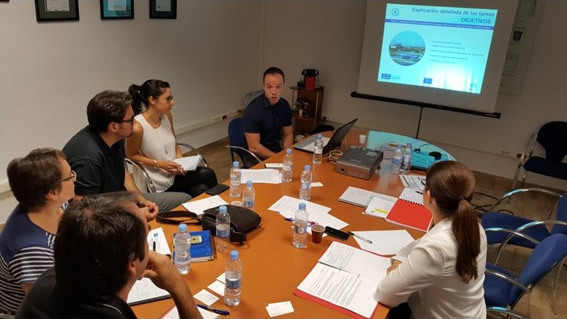 The project coordinator is SERYECO and the companies participating in the consortium are EGEVASA Y SEASA of the Global Omnium / Aguas de Valencia group. The main goal of this project is to develop and demonstrate an innovative and environmentally friendly technology; this has previously been validated for the elimination of phosphorus in urban and industrial wastewater. This innovative technology is based on the use of new organic polymers of natural origin that are able to improve the coagulant efficiency and replace the currently used corrosive dangerous chemicals products. In conclusion, with this technology we offer an efficient solution, which is economically profitable and it is also environmentally sustainable for the elimination of phosphorus in wastewater. During the project, the first countries where this technology will be tested on a real scale will be Spain, the Netherlands and Germany.